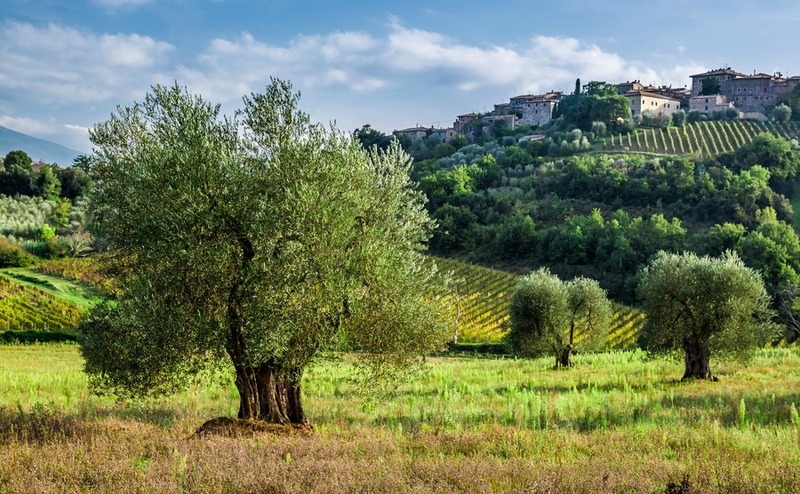 Like most British people, we had only a small garden to manage in Britain, but when we found our perfect house in Italy it came with 400 olive trees on eight acres of land. Yikes! Nine years on, not only would we not dream of going back to a postage stamp garden with neighbours so close, but we have become expert olive farmers too! Well, sort of. It turns out that looking after olive trees is much easier than you may think and with some of them hundreds of years old, even an inexperienced Brit couldn’t kill them off. 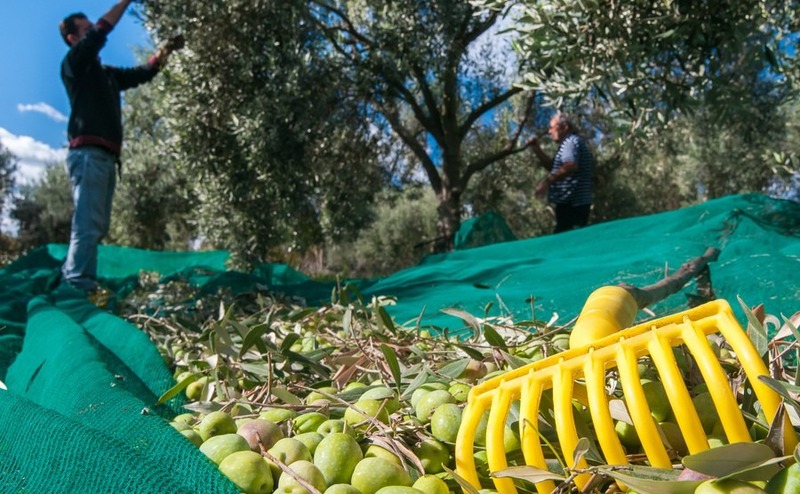 The olive picking season runs from November to February. Many elderly Italians just let the olives drop when they are ready and sweep them up with what looks like a witch’s broom. You do however need to then separate any small stones and leaves from the olives, or accept a lower price from the press. To separate them yourself just buy a separator from the ferramenta (hardware store), which is like a metal grill that you push backwards and forwards. The stones drop through the grill, the olives roll into a bin and the leaves stay on top of the grill, where they can be tipped out. You can also put nets under the trees weighed down with stones, making sure they cover the total area the olives could drop in. The netting is sold in rolls, which you can cut to the length you need. It might cost you about €100 for 50 metres. You can then just pick up the nets and tip the olives into the olive bins. It will then only be the leaves that need separating. You may need to put the nets back down afterwards, as you will probably collect about three lots over the picking season of a large tree. Always take the olives to the press on the same day. For smaller trees you can just put a couple of nets under the tree and handpick the whole tree in one go. By combing your fingers through the soft branches the olives will drop easily. Most people use a plastic hand rake. You can even attach them to a wooden pole or extendable paint roller pole to reach high branches. A ladder is also useful for high trees. When the tree is done just drag the two nets across to the next tree and repeat. Handpicked olives taken to the press on the same day as picking produce a superior oil and will earn you more money at the press. If that all sounds like too much work, don’t worry. There are always people in the area that are willing to do the picking for you in exchange for a share of the oil. Some have vacuums for picking up the olives, or tree shakers and mechanical pickers. They also have motorised separators, so they can get the job done much quicker. You may also be able to negotiate a deal that includes them ploughing and rolling under the trees. Our land needs ploughing two or three times per year to keep the weeds and grass down. Even less now we let our neighbour’s horses in to munch it. We bought a small tractor and plough, but it only costs us €120 to have our land ploughed by a local chap whose tractor does the job quicker. How much olive oil will you get? The amount of olives the trees produce can vary greatly year to year and from tree to tree. Local Italians forecast that they will get an extra good harvest about every five years, timing their pruning around this. 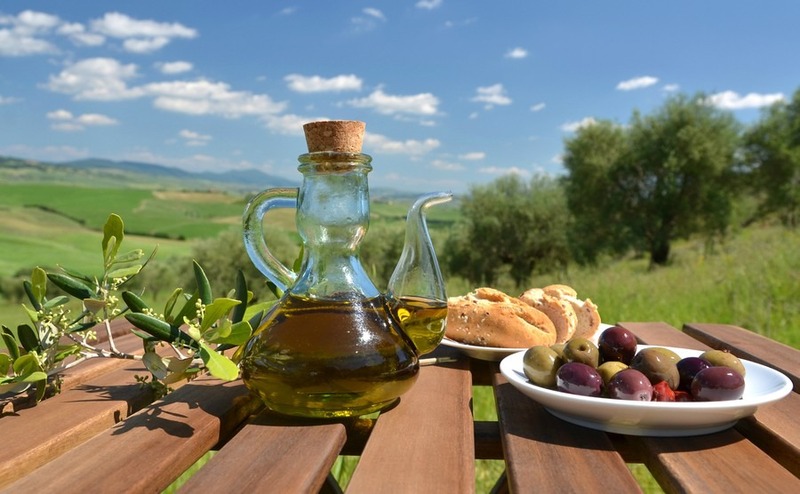 Despite an expected 30 percent drop in production this season, Italy is still the second largest producer of olive oil in the world with estimates of 300,000 tonnes this year. The region of Puglia produces the most oil in Italy, followed by Calabria. What happens at the olive press? You take your olives to the press in big plastic bins. We could fit nine bins in our estate car, and found that was as many as we could comfortably pick between the two of us in a day, picking from 9am – 3pm. Some people also use crates. At the olive press they weigh the olives by quintali (1 quintali = 100 kilograms) which is about three and half large bins of olives. Some presses weigh the olives loose, and at others you drive onto the scales, where they weigh the car with the olives. Once they are unloaded they weigh the car again and subtract its weight. They will offer you a price per quintali. Each press sets its own rates and they can change from week to week. It is worth asking an Italian neighbour which press is giving the best rate in your area and take him with you if you can. One quintali of olives can give you around 13 litres of olive oil. Do I need to prune my olive trees? This year was expected to be a low yielding year, so many farmers chose to prune their trees either in the spring or early autumn. After a severe pruning you might not get olives on that tree for a couple of seasons. For this reason farmers tend to prune on a rotation system, only pruning a portion of their olive grove each year. Pruning helps air circulation and allows light to get through to the centre branches, which helps prevent bacterial and fungal infections. The person who ploughs under the trees will appreciate the pruning of low branches, so that he’s not continuously having to duck and have his hat dragged off. If you decide to handpick your olives you will wish the hard-to-reach high branches had been pruned too. You will learn to love your olive trees! We have no heating bills because we use wood from our trees in a log burner. There are two water tanks on the stove: one for the radiators and one for hot water. We also have a small stove in the lounge fireplace which is lovely on a cold evening. If you want to use your prunings in a wood burner it is best to leave it to dry for a year. Olive wood burns well and slower than pine. As full-time residents, we are entitled to an EU subsidy for our olive trees, which more than covers any costs involved in getting someone in to prune the trees and plough the land, when we don’t fancy doing it ourselves. You will often see very elderly Italians pottering around in their groves. It is their passion, and the fresh air and exercise is obviously doing them good. 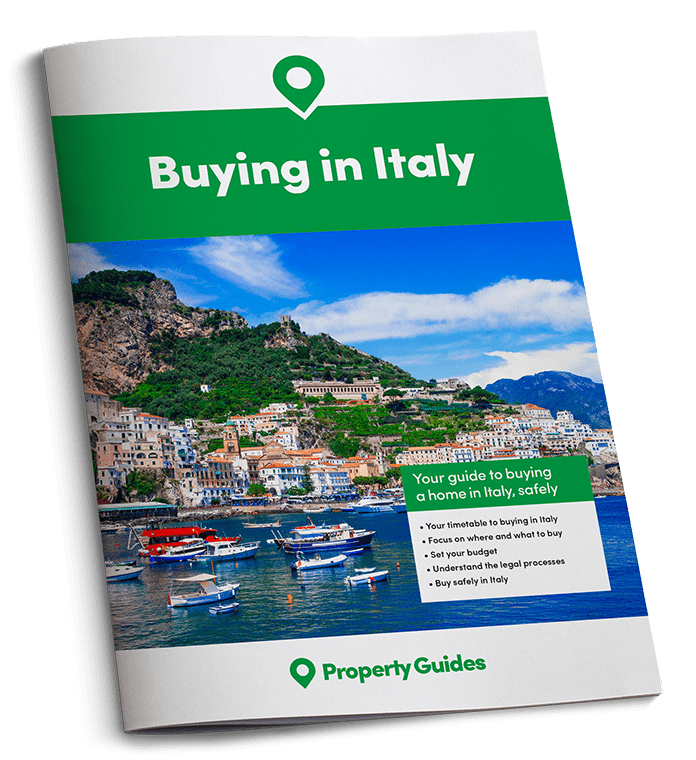 Although their families do come and help with picking, the younger generation are becoming less interested, resulting in more olive groves coming up for sale, and at great prices. It is so satisfying when you collect your olive oil from the press and can say “That came from our trees”. We find that 50 litres is plenty to last us a year and we use it for everything from cooking to oiling tools. You can buy a 50-litre stainless steel churn with a tap on it, from a local ferramenta and take it to the olive press with your olives. You then pay for them to be pressed straight into your container. It works out much cheaper than buying olive oil in the shops. Any other olives you have can be sold to the press and earn you a bit of cash. The land that comes with your olives trees is also a great bonus as it provides space, privacy and a distance between you and your neighbours. You can comfortably sit outside on warm Italian evenings and take walks around your land, spotting the wild flowers and birds. Your pets will love it too.